OralPeace has subsequently launched “ORALPEACE for PET” with the “safe to swallow” features. 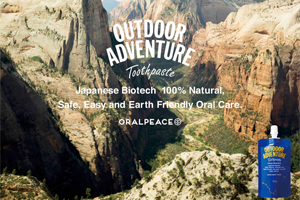 “ORALPEACE for PET” series developed and shared the same concept as human OralPeace product, "Everyone can use, safe and easy oral care". It is developed for cats and dogs that have problem gargling by using the world's leading lactic acid bacteria research and biotechnology, to help prevent periodontal disease, calculus, bad breath and tooth decay of your pet. A pet oral care product made from water and plant extracts containing Neonisin®* ingredients. Remove tartar and plaque while brushing, keep your pet’s mouth clean, prevent bad breath, and stay healthy. Gentle and refreshing taste. ORALPEACE for PET is simpler and safer. Contained lactic acid peptide "Neonisin®*"
The ingredients are water and plant extracts, and it is safe to swallow. Apply a proper amount of the gel to toothbrush or fingertips, or apply the gel evenly to the mouth with clean fingers or gauze. After brushing or smearing, do not need to rinse with water. When brushing the teeth, carefully clean the areas of the teeth and gums that are prone to calculus and tartar, then massage in the mouth. If your pet is having gingivitis, stomatitis or dry mouth, apply it to the mouth after brushing and leave it as it is. A pet oral care spray made from water and plant extracts containing Neonisin®* ingredients. keep your pet’s mouth clean, prevent bad breath, and stay healthy. Gentle and refreshing taste. 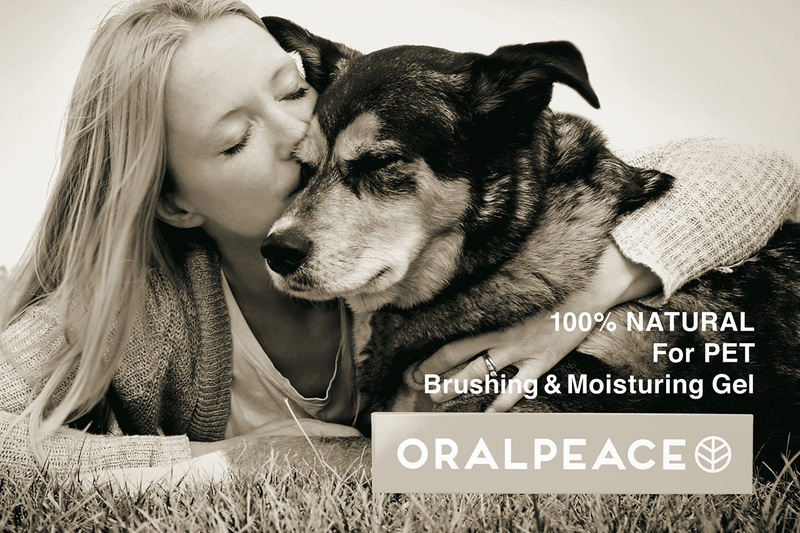 ORALPEACE for PET is simpler and safer. Simple care when going out, sleeping, and spraying in drinking water. Spray it directly into the mouth several times, or open the pet's lips and spray it on the upper and lower teeth, brush or smear the teeth with clean fingers or gauze. Do not need to rinse after use. It can also be sprayed in drinking water for simple care. When brushing the teeth, carefully clean the areas of the teeth and gums that are prone to calculus and tartar, then massage in the mouth. If your pet is having gingivitis, stomatitis or dry mouth, spray appropriate amount into the mouth after brushing and leave it as it is. Please see the package for all ingredients. 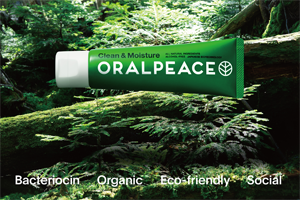 In the new era of organic oral care product "OralPeace" is popular among the elderly, infants, chemical allergies, pregnant women and lactating women who do not want to transdermally absorb chemical ingredients. After the product launched in the market, we received frequent inquiry on “Can I use it for my dogs and cats?”. Therefore, as we continue to investigate pet's oral care, we found that there are market demand of oral care products for pet. By popular demand, we launched the "ORALPEACE for PET" series. It is time consuming and the cost is high to remove calculus. Pet’s parent want to prevent it easily and effectively through daily brushing. Bad breath will occur if pets’ oral is not taken care. They will easily have body odour after licking the fur. Eliminating bad breath will reduce the smell of pets, and it will be better to live with humans. There are a few pet products that contain effective ingredients for solving oral problems, and very few of the products that are jointly developed by hospitals and universities using scientific methods. The transdermal absorption rate of chemical components through oral mucosa is 10 times more than the transcutaneous through skin. Pet’s parent doesn’t want to let the pets swallow the chemical components. Dogs, cats as well as human beings, can live a healthy and longevity life by starting taking care of the mouth. do not want to use products containing chemical synthetic raw materials, synthetic fungicides, synthetic surfactants, synthetic preservatives, and etc. for cats and dogs. COPYRIGHTS © ORALPEACE.COM ALL RIGHTS RESERVED.